Enjoy hiking but do not have the time to journey out of the city? The Bukit Gasing Forest Reserve may just be your next favorite hang out spot! This local, somewhat hidden gem spans across 100 hectares, and although hedged in by development and residential neighborhoods, it is both convenient and accessible for those seeking for a breath of fresh air amid the chaotic life. Here, you can find several trails catered for each level of fitness, and if you climb long enough, you will arrive at a vantage point that overlooks the subdued parts of Petaling Jaya, consisting of mostly houses and low-rise buildings. Despite having several trails, they are not properly pointed out but I guess that is what makes the hike interesting. Stick to the main path or take the road less traveled, turn left or right - trust your guts and just do it. Each trail ultimately brings you to the highest point at 160 meters. You will come across the Abu Baker slope towards the end of your climb, which is slightly more arduous (I call it exciting), where you’ll be required to hang out on a rope for a sharp, almost perpendicular incline. On your ascent, you may spot one or all of the following from afar: Maha Sivan Alayam (a Hindu temple), Masjid Jamek Sultan Abdul Aziz (a yellow-domed mosque), Wat Chetawan (a Thai Buddhist temple), and a tall hilltop watchtower. Keep in mind that it gets busier on weekends and in the evening. Put on a pair of good hiking shoes as certain parts could get challenging (we’re talking mud and steep, slippery slopes). There is a suspension bridge, but it has been closed for repair work. Since facilities are nonexistent here, you are advised to come with an empty bladder and a full water bottle. For other articles on hiking, please click here. 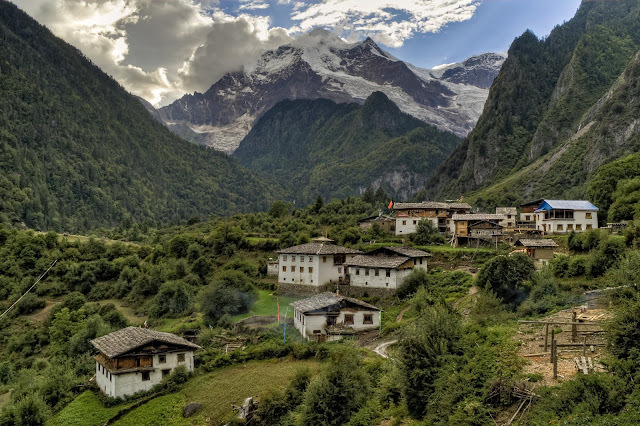 Pronounced as Xiang Ge Li la (香格里拉) in Mandarin or also known as Zhongdian (中甸) among the locals, Shangri-La is one of earth’s best kept secret and paradise located in the Yunnan province of southern China. 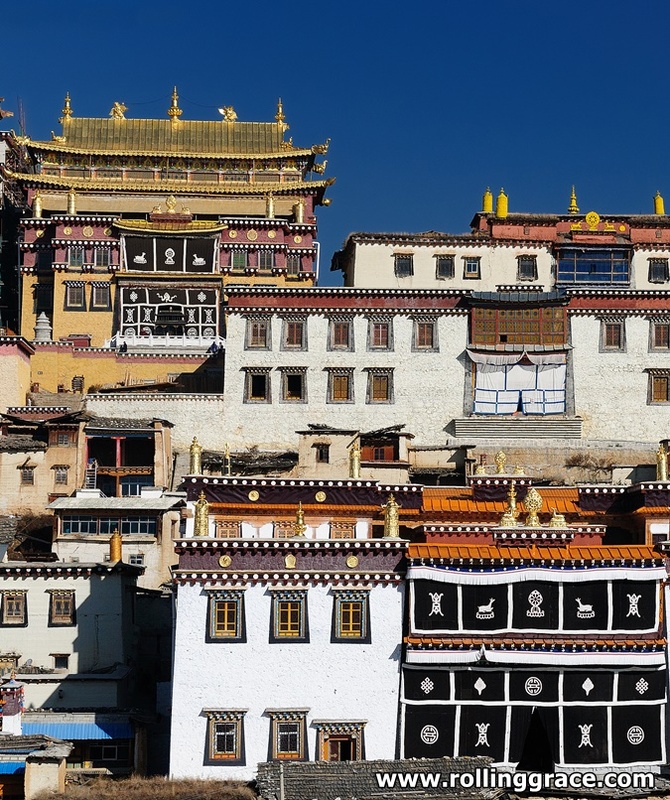 Almost like it’s God’s well thought out plan, this restful town is embedded in the seam of Yunnan, Sichuan and Tibet - areas brimming with religions and spiritual traditions, azure lakes, eminent alps and verdant grasslands. 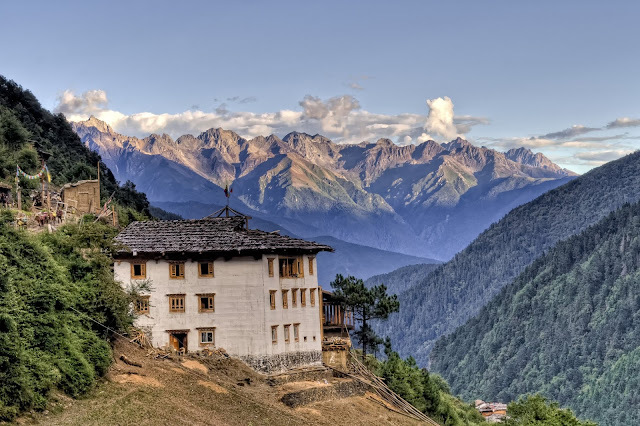 Shangri-La was described in James Hilton's Lost Horizon as an other-worldly place of mystique, while the Tibetans refer to it as "sun and moon in heart", which makes it a divine and ideal home in heaven. Here, the locals walk tall and proudly, their skin bearing an enduring shade of bronze due to the unabating exposure to UV radiation. In the past, it was known as Jiantang. 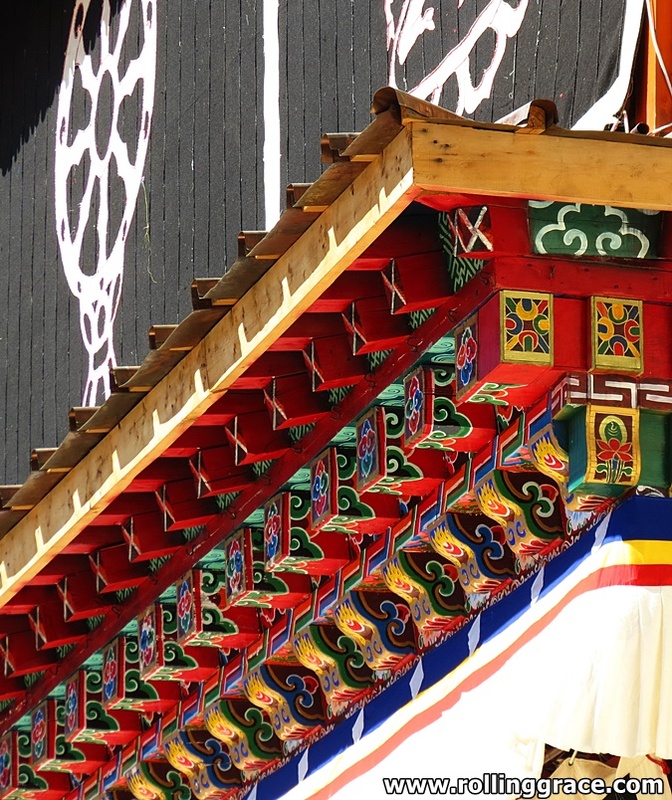 Together with Batang in Tibet and Litang in Sichuan, these areas were ruled by the three sons of a Tibetan King. It wasn’t until 2002 that it received the name Shangri-La. As unique as its name, Shangri-La is home to earth’s rawest, most bountiful resources. Plants grow freely and animals such as musk deers, golden monkeys and yaks roam unrestrictedly across the plateaus. 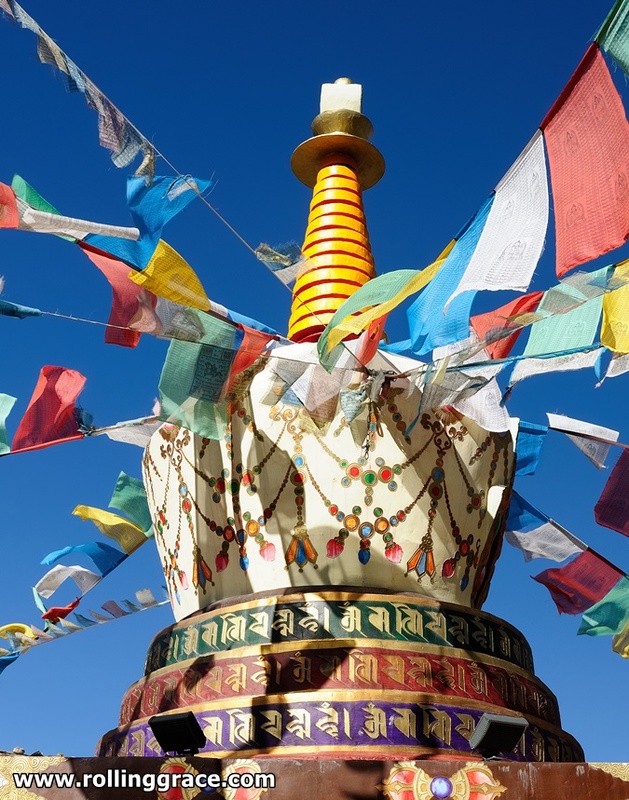 Mineral deposits are rich and inexhaustible, and its ethnic inhabitants - mostly Tibetans, live ever harmoniously in accordance to the values and traditions passed down to them for centuries. The ideal period to visit Shangri-La is between March to August, where flowers are in full bloom in perfect spring weather. 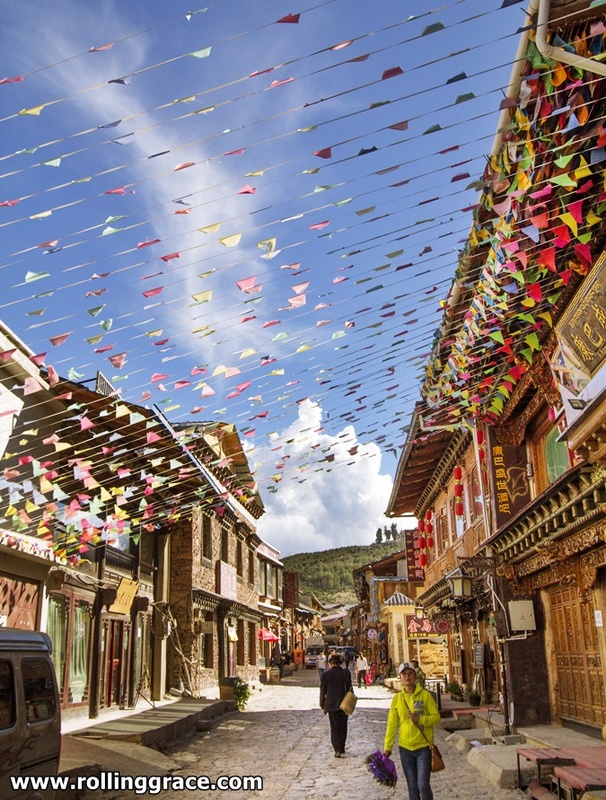 The streets of Shangri-La, decorated with colorful prayer flags. Prepare to be exposed to strong UV radiation and the ever-changing weather. Even if you are not hiking, be sure to pack along sunscreen and long-sleeve shirts for protection. Altitude sickness is common, and its symptoms are shortness of breath, lightheadedness and tightness in the chest area. Make sure to get enough rest once you arrive and bring along medication if necessary. A drink loved across the Himalayan regions of Tibet, Bhutan, Nepal and India, butter tea or Pho Cha is traditionally brewed using fragrant tea leaves, rich yak butter, water and salt. 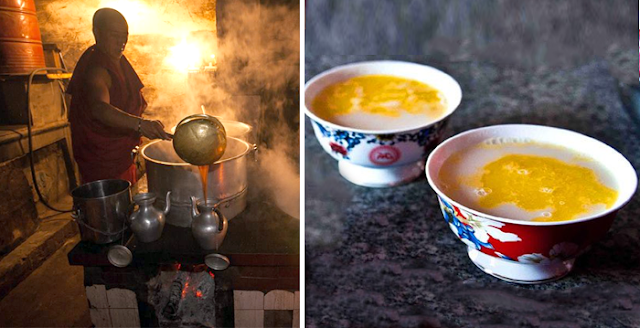 The consumption of butter tea has become a necessity in this part of the world due to colder climate and higher altitudes, as it is able to provide high caloric energy while keeping the body warm for a longer period of time. The taste? It literally felt like I was sipping melted butter that has been diluted with hot water. Oily, possibly rancid and carrying the perfect concentration, I would say the drink is practical rather than tasty. Nevertheless, sampling this exotic tea passed down from the 7th century is a must, because it can rarely be found outside of the region and it does a fantastic job warming both bodies and souls. Let’s me just start by saying that I love dumplings, and momo definitely ranks among the top in my list of favorites. 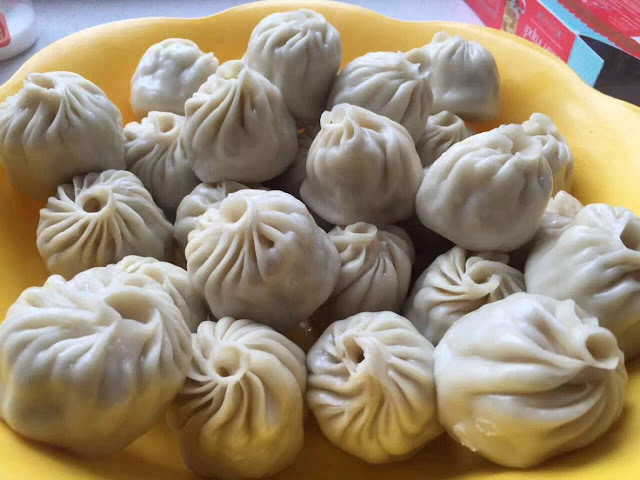 Momo is a traditional delicacy native to South Asia, notably Tibet, Nepal, North India, and Bhutan. Although highly similar to the dumplings from East Asia, they are distinguished through the embodiment of Indian influences, such as the use of herbs and spices. 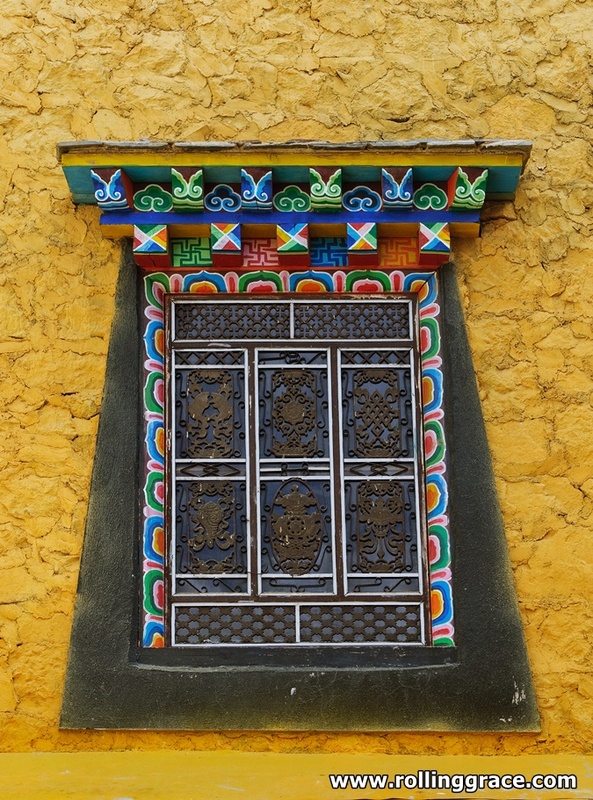 It is believed to have originated from Tibet, and was spread to Nepal thanks to the merchants of the Newar community. Momos in Shangri-La and Tibet are unique because they are stuffed with yak meat. Chicken and pork momo varieties are more commonly found outside of this region. Be ready to be swept off your feet, as you are invited to a feast for your senses with unique, unfamiliar architectures and a landscape too beautiful and surreal. 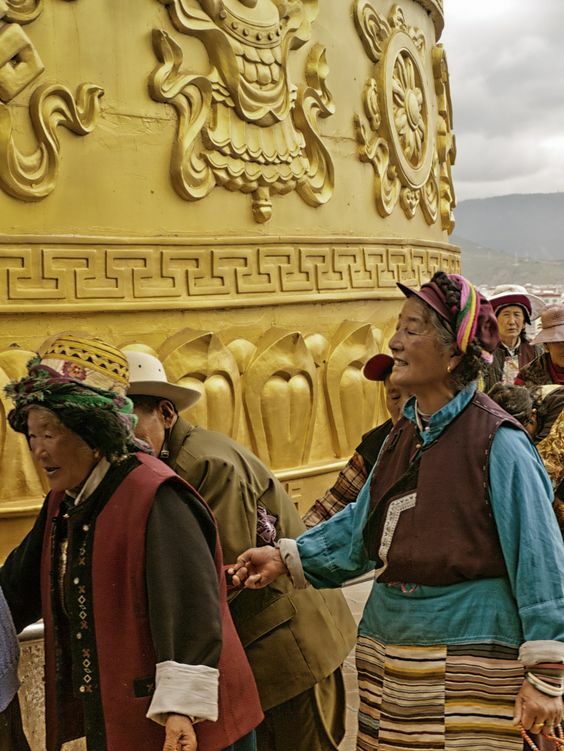 Closely located to the old town, the 10-meter giant Tibetan prayer wheel is a sight not to be missed (technically you won't be able to miss it either, because it's huuuuge). 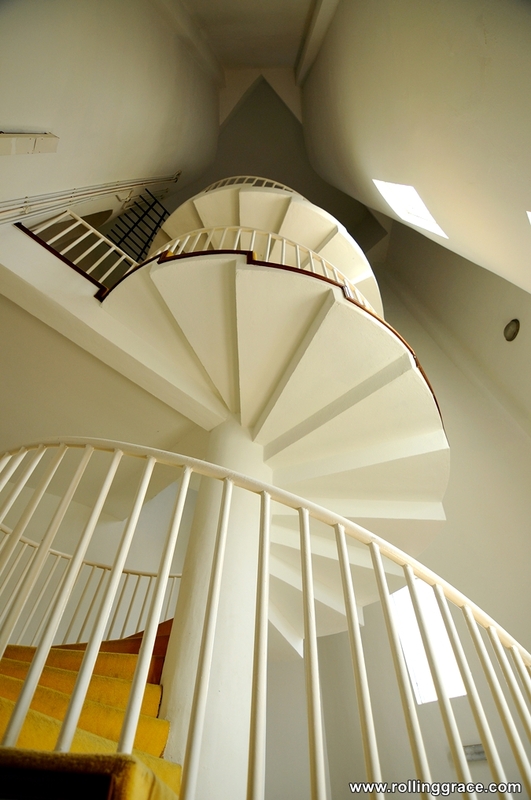 To get there, you'd need to climb the stairs and be sure to join in the fun and spin the wheel (clockwise and in odd numbers) for an unforgettable experience! In the evening, the park will come to life with music and dances by a merry crowd made up mostly of beautiful, pink-cheeked women and children. 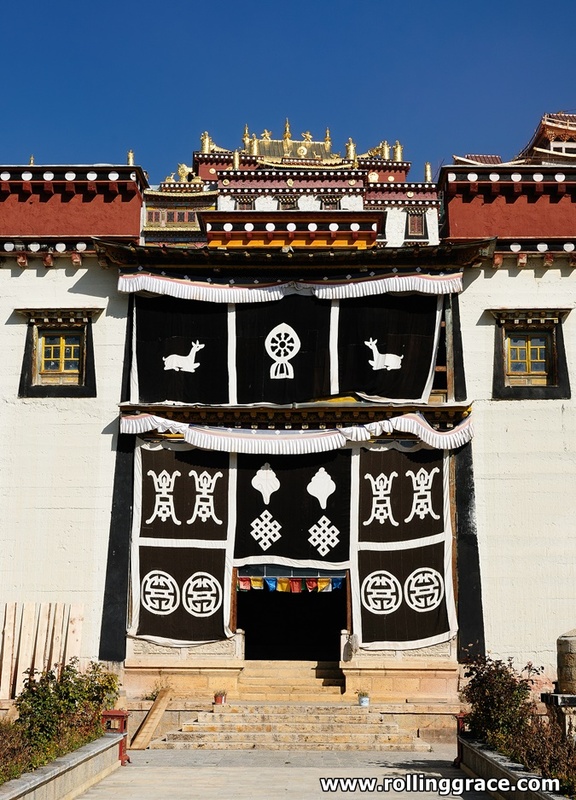 Songzanlin is the biggest Tibetan Buddhism monastery in Yunnan, spanning across 30 hectares and located on a mountain 5km from the town centre. 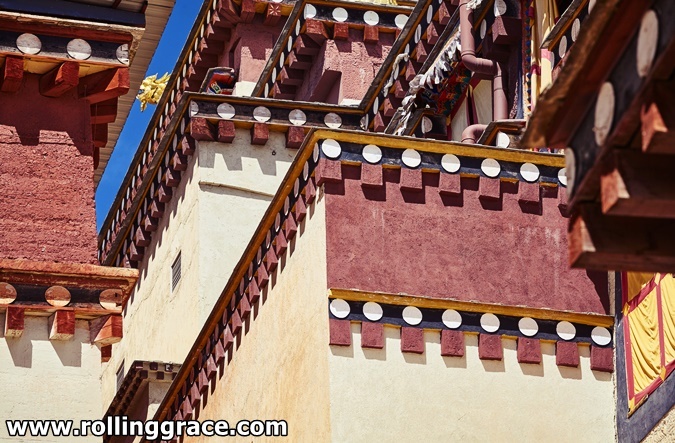 Similar to the architecture of Lhasa's famed Potala Palace, this breathtaking complex consists of Tibetan watchtowers soaring five levels above ground storey and is home to over 700 lamas and monks. Visitors need to climb 146 steps at 3,300m above sea level before arriving at the main prayer hall - the very same pilgrimage route taken by generations of pious Buddhists. Other noteworthy attractions in Shangri-La include Lake Bita, Baishuitai, Yubeng Village and the sacred Meili Snow Mountains, but getting to them might take some time and effort and they are scattered faraway from another. 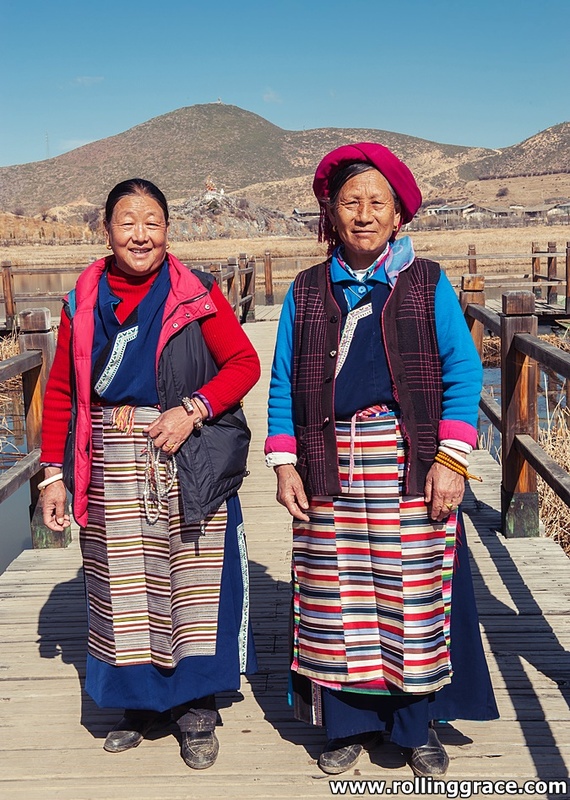 Heading to Yunnan? Read this article to help you plan your journey! Catch Jason Mraz in Malaysia! 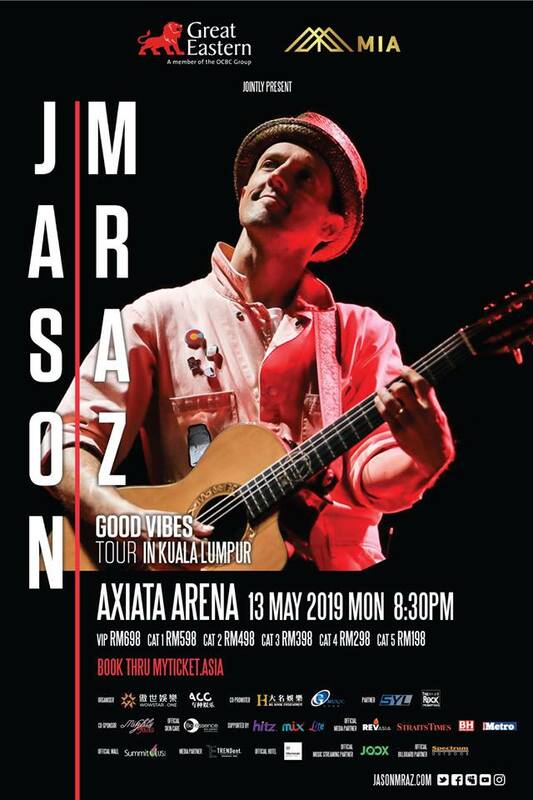 This May 13, Jason Mraz will coming to Malaysia as part of his Good Vibes Tour, which started in North America last summer. The tour arrives in Asia in May 2019, where he will be performing in Kuala Lumpur, Manila, Singapore, Shanghai, Hong Kong, Bangkok and Taipei. Win yourself a pair of VIP tickets worth RM698 each to catch Jason Mraz live in Kuala Lumpur! Take part in the ‘Love Is Still The Answer’ Snap & Win Photo Contest by simply uploading a photo on social media to show what love means to you. 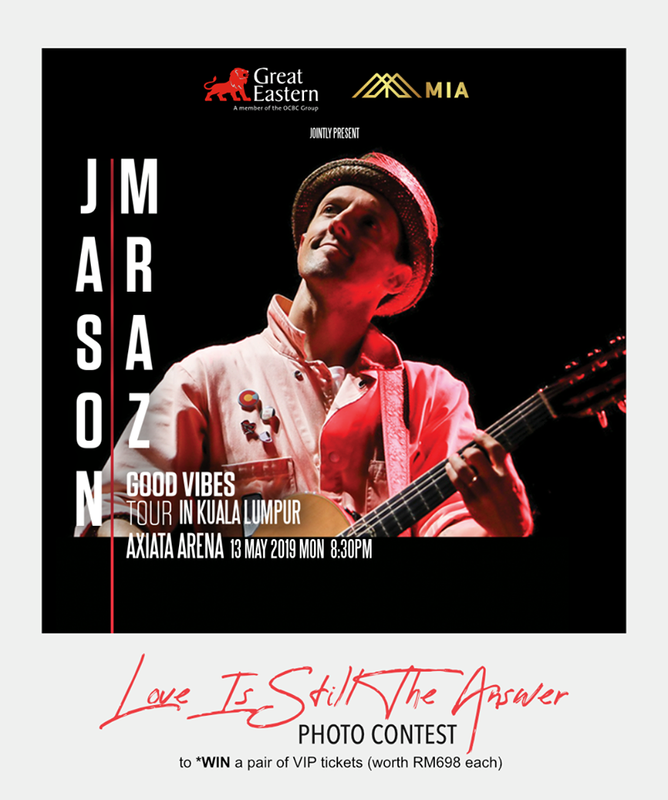 Include the hashtags #LoveIsStillTheAnswerPhotoContest #JasonMrazLiveInMalaysia and you’re good to go! Hurry - there are only 12 pair of VIP tickets up for grab! Malaysia is a multiracial country. According to population projections in 2017, the country is made up of approximately 69% Malays and Bumiputeras (indigenous people), 23% Chinese and 7% Indians. 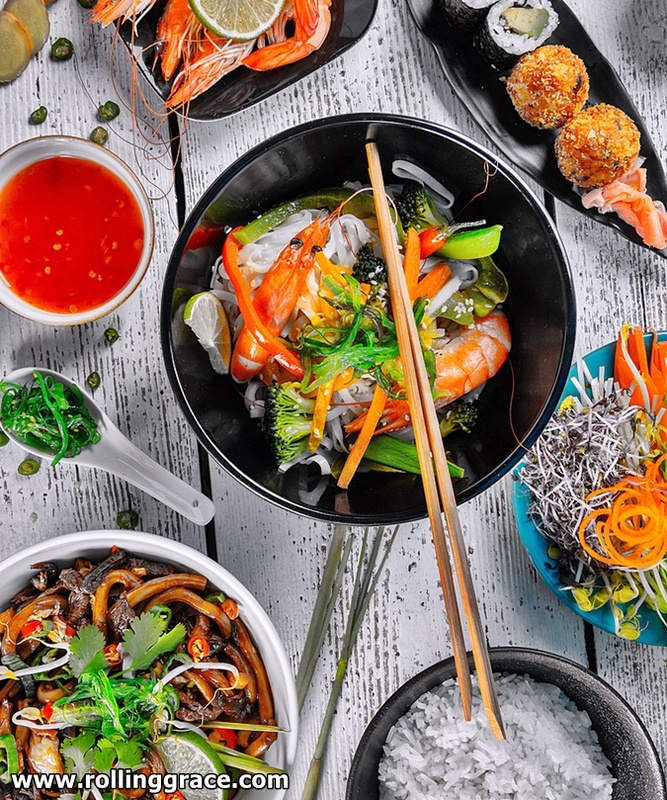 Thanks to this unusual yet unique composition, the country has become what it is today: a melting pot of cultures, religions, as well as traditional and fusion delicacies. In spite of all the differences, all these cohabiting races share a common soft spot - their eternal love for rice. Heading to Malaysia soon? 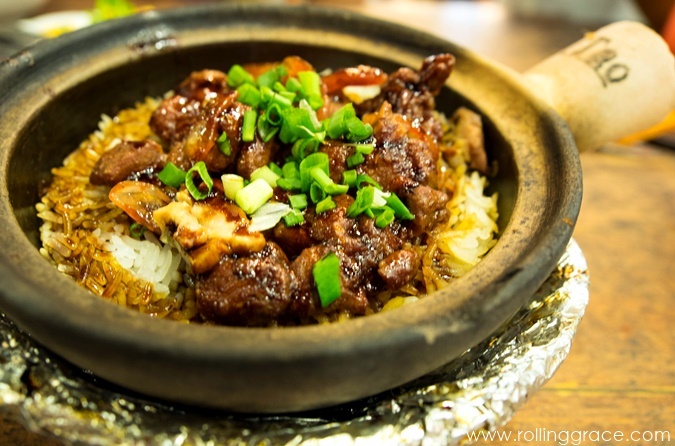 You're going to want to try the following lip-smacking and unforgettable rice dishes till the very last grain! Nasi Dagang is made by steaming rice in aromatic coconut milk and fenugreek seeds, which give it its signature flavor. Nasi Dagang found in Kelantan consists of purple wild rice which is slightly glutinous and chewy, whereas the Terengganu version uses white rice. 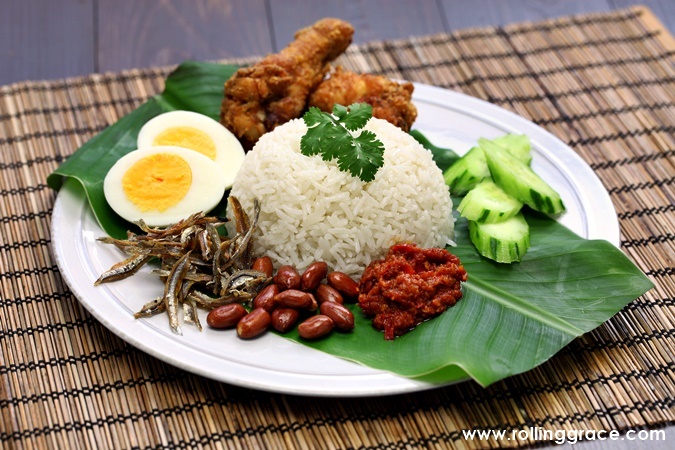 A common breakfast item in the eastern coast of Peninsular Malaysia and southern Thailand, the rice is served alongside fish curry, roasted shaved coconut, solok lada (stuffed chilli), hard-boiled eggs and a variety of pickles. The national dish of Malaysia needs no introduction. A meal best enjoyed at any time of the day, the name literally translates to “fatty rice”, as the rice preparation calls for generous dousing of coconut cream. Steamed on pandan leaves for roselike fragrance, the dish is served with sweet and spicy sambal (chili paste), roasted groundnuts, egg, fresh cucumber slices and fried anchovies - typically and traditionally wrapped securely in banana leaves. 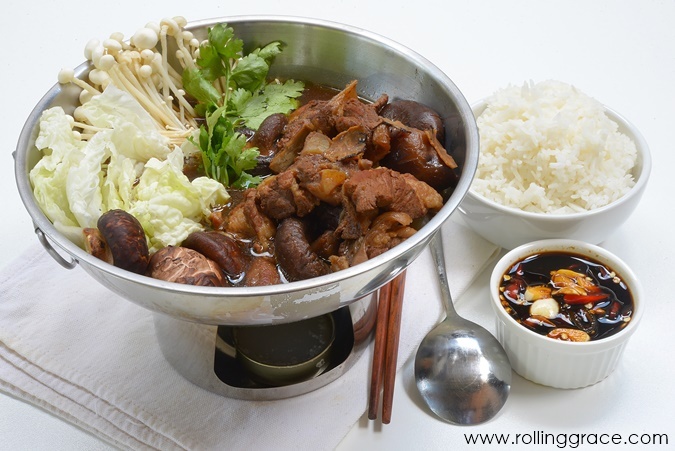 Fatty and aromatic, Bak Kut Teh literally means “meat bone tea”. The rich and flavorful broth is a result of hours of cooking the ribs, spices, herbs and garlic together. It is served with either white jasmine rice or yam rice, and youtiao or Chinese crullers. Claimed to have originated from Penang, Nasi Kandar is essentially white rice served with a variety of side dishes that ranges from savory curries to assorted vegetables. Displayed in a buffet-style manner, customers are required to scoop whatever they want onto their plates before a waiter drops by to calculate the price of your meal. Top Nasi Kandar picks: Squid curry, ayam goreng berempah cabbage with mustard seeds, and stir-fried okra. Both mesmerizing to look at and delicious to devour, Nasi Kerabu is a beautifully assembled dish created in Kelantan. 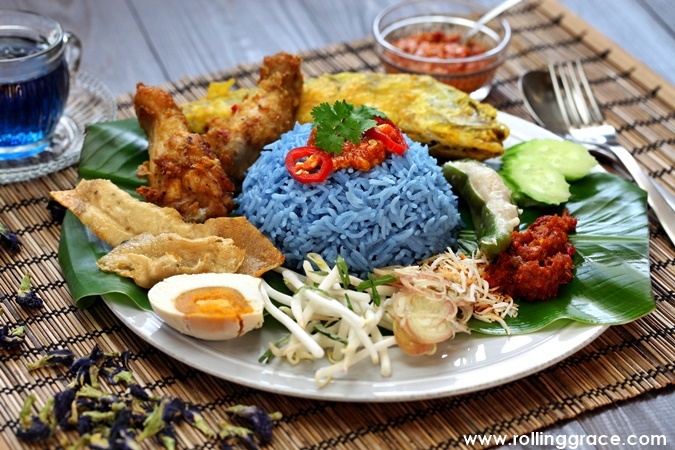 The blue rice is naturally dyed using telang flowers or the petals of butterfly pea flowers, and is topped with a complete set of exotic and defining side dishes such as ulam (traditional salad), prawn crackers, toasted grated coconut, aromatic herbs, fish relish, hard-boiled salted egg, and a few different types of sambal belacan. My favorite Malaysian dish, ever! Lemang is prepared using local white glutinous rice and coconut milk, roasted slowly over open fire in hollow bamboo poles that are lined with banana leaves. The result? Wet, sticky and irresistible rice that goes incredibly well with serunding (meat floss), rendang and meat curry. 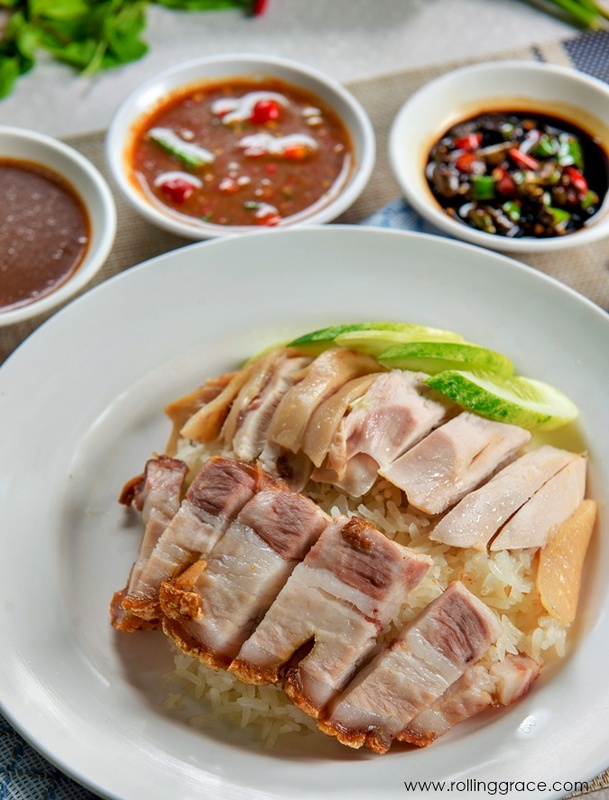 Originally from China’s Hainan province, this internationally renowned dish has long been assimilated into the Malaysia culinary scene and its recipe has also been dutifully modified to cater to the local’s preference. With chicken broth being the secret formula, this simple 2-part dish (chicken and rice, duh) is best eaten with a special chili dip and a bold ginger-garlic sauce combo. 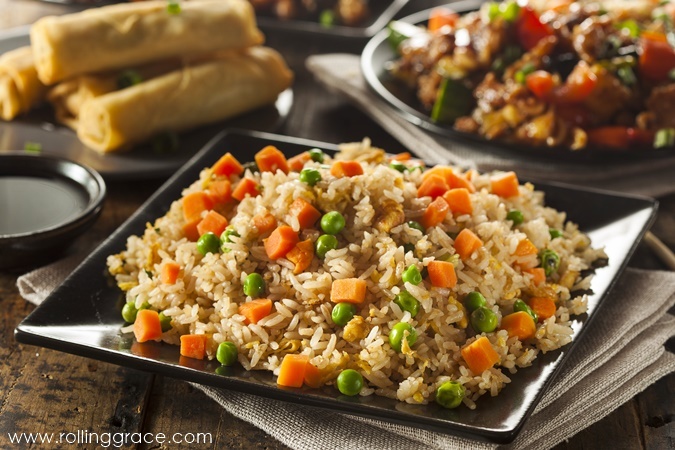 Chao Fan is prepared using leftover cooked rice, a variety of vegetables and meat, and is seasoned primarily with soy sauce. In the past, cooking fried rice was a way to salvage leftovers and hence preventing wastage. As there isn’t a fixed recipe to prepare this blissfully simple dish, the exceedingly versatile Chao Fan is different in every shop, each of them adding their own unique touch to the ingredients, seasonings, vegetables and protein. 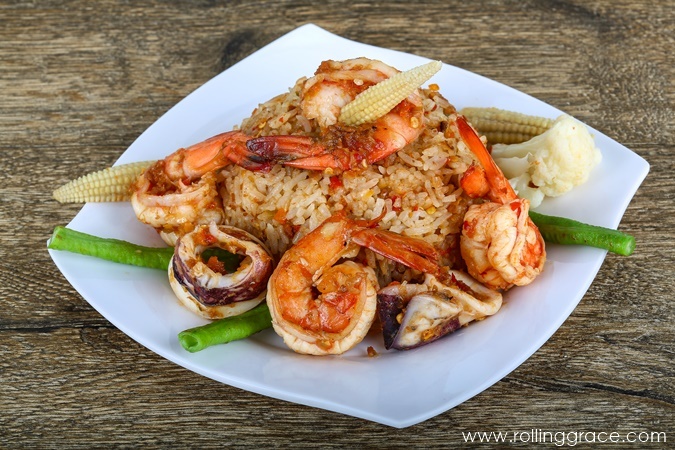 The Malay version of Chao Fan, Nasi Goreng is the Malay way of preparing fried rice. Similarly, it makes use of leftover rice which is then stir fried with garlic, bird-eye chili, meat, sweet soy sauce and is most often topped with a fried egg. Best eaten anytime of the day! 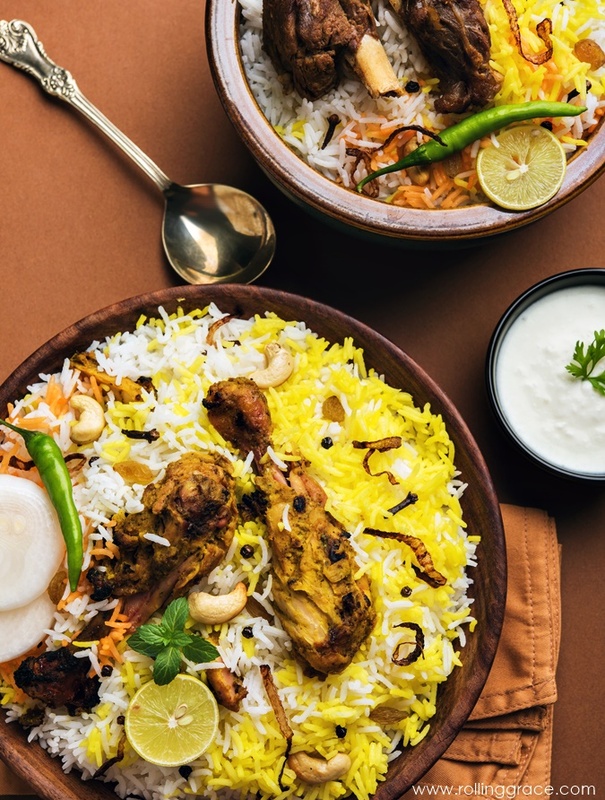 Biryani is a mixed rice dish with Muslim and Indian origins, prepared using Indian spices such as nutmeg, mace, cloves, cardamon, bay leaves, cinnamon, while premium varieties use saffron, which gives the rice its bright orange colour. Its unique taste is derived from aromatic herbs, chili, garlic, ginger and onion, and can be cooked with any type of meat such as chicken, beef and fish. A vegetarian Biryani is known as pulao. Commonly eaten at dinner, this dish is a hit in Malaysia, Singapore as well as Southern China. 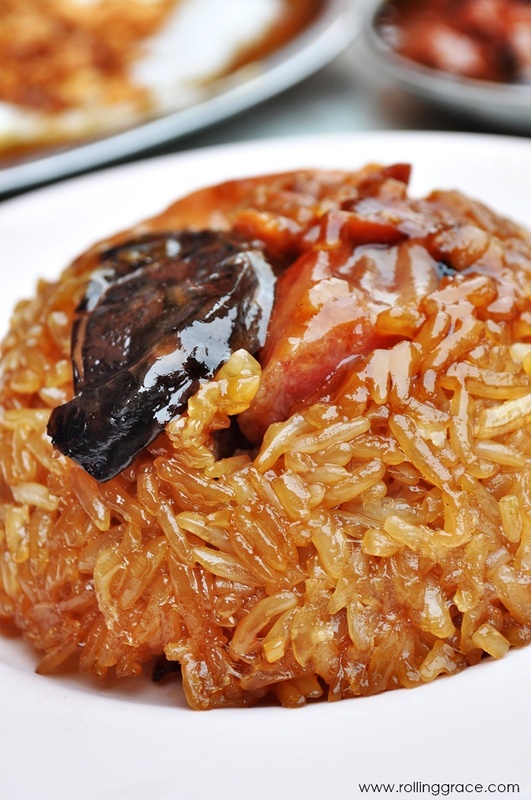 Its star ingredient is a type of sweet preserved Chinese sausage known as lap cheong, alongside chicken pieces, dark soy sauce, dried salted fish, rice and vegetables in a sturdy clay pot. Traditionally cooked over a charcoal stove and hence enhancing its flavors by giving it a distinct, smokey taste. As the dish is made to order, expect to wait at least 20 minutes before it is served! 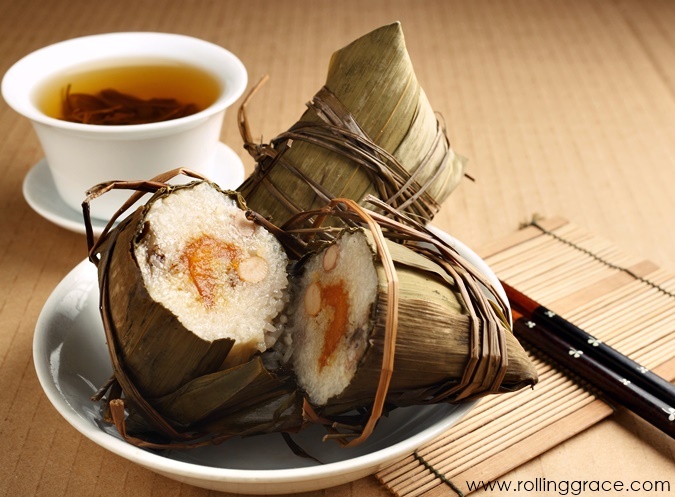 This traditional rice dish is prepared using glutinous rice with fillings such as meat, salted egg yolk, shiitake mushroom, and water chestnut, wrapped tightly in bamboo leaves. It is seasoned using white pepper, five-spice powder, Shaoxing rice wine and dark soy sauce for a juicy, addictive finish. Similar to Zong Zi in terms of preparation, Lo Mai Gai is a dim sum dish which consists of glutinous rice, chicken, shiitake mushrooms, Chinese sausage slices with pleasurable aroma reeking of scallion and dried shrimp. 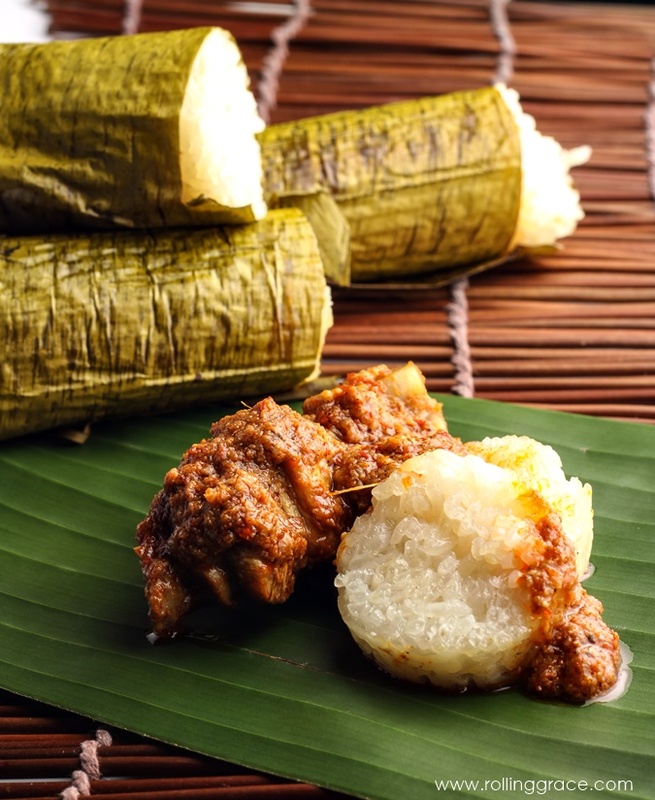 It is traditionally wrapped in dried lotus leaves but in Malaysia, it is commonly found steamed in bowls made from heat-resistant aluminium foil. Eating with the hand on banana leaves is a traditional custom among the South Indians. This dish in particular, requires white rice to be served alongside a variety of curries and vegetables cooked in different manner and to different consistencies, tangy pickles, papadum (crispy crackers) and occasionally accompanied by meat, although this banana leaf meal is traditionally a vegetarian dish. To complete the meal, sip on rasam - a sourish soup which aids digestion! Originated from the Indian subcontinent, Idli is a type of rice cake eaten with flavorsome gravies and chutneys. This delicious breakfast food is made by steaming a batter prepared using fermented rice and urad dal (black gram) until it achieves a soft, squishy and fluffy texture. Fried rice and hot gravy served on the same plate, this luscious dish comprises of chicken or seafood and an assortment of vegetables, notably carrot, baby corn, Chinese broccoli, and cauliflower. Best eaten warm! 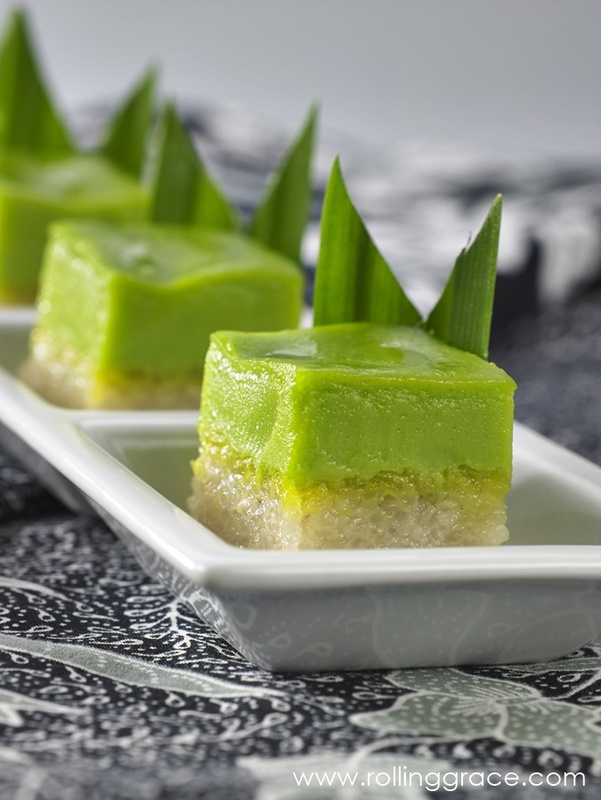 One of the most common and popular kuih (dessert) in Malaysia, Seri Muka consists of two layers - custard with a distinct green colour on top and chewy glutinous rice that makes up the bottom half. Infused with coconut cream and pandan extract, this creamy dessert makes a great treat between meals. Did you know? Black glutinous rice is the unpolished whole grain of its white counterpart. This variety has a slightly stickier texture compared to normal rice as it is made up of a type of starch known as amylopectin. This gooey rice porridge is both sweet and nutritional, and its taste is further enhanced with coconut milk for a divine, velvety finish. 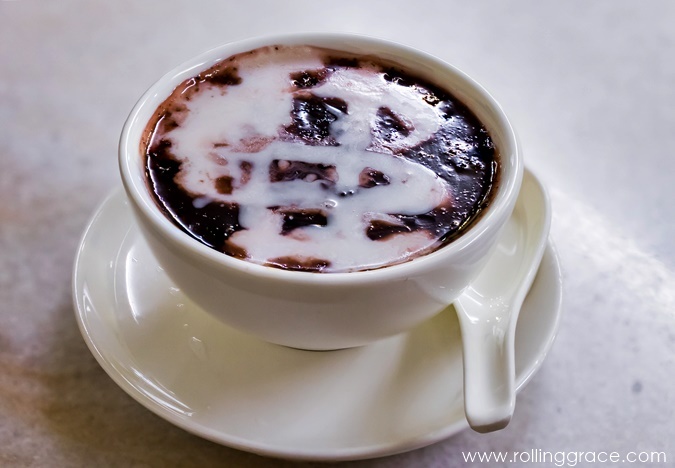 This famous Nyonya dessert is especially popular in Melaka and Penang, and is available throughout the country. The glutinous rice is dyed using bunga telang or butterfly pea flower, giving it a natural and appealing blue tint. 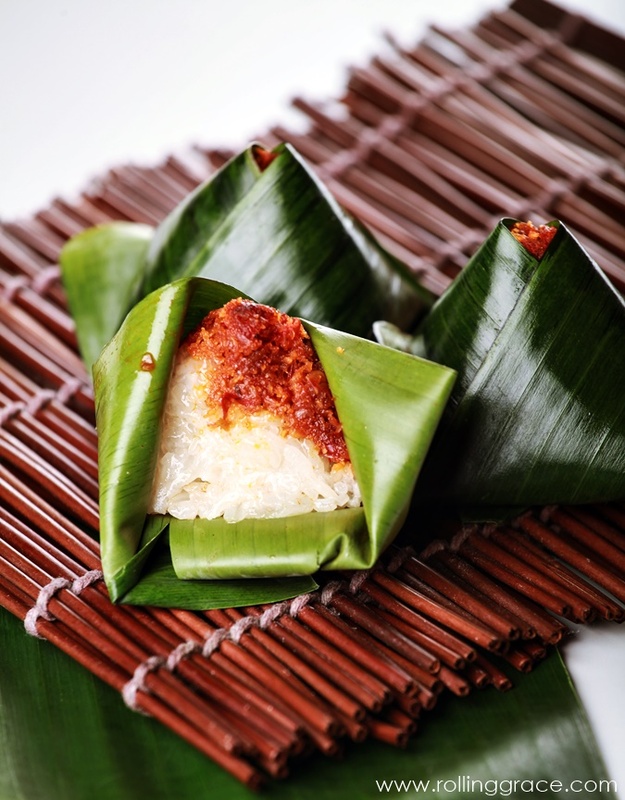 It is topped with sweet grated coconut, and is served wrapped in banana leaves in a distinguishable triangular pyramid shape. 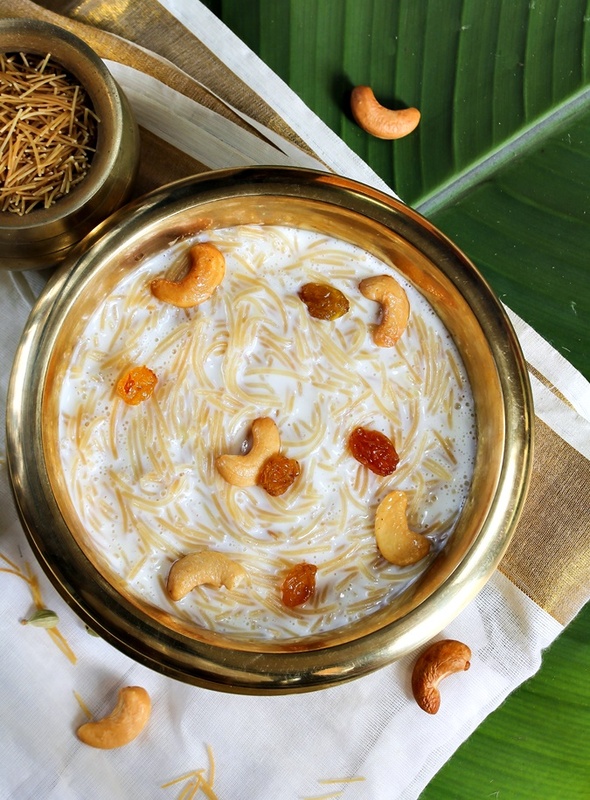 Also known as Kheer, Payasam is a type of Indian rice pudding prepared by boiling rice, milk and sugar together. Other delightful additions include raisins, saffron, pistachios, cardamon and/or cashews. Slow-cooked to creamy perfection, this dish is typically served as a hearty dessert after meals. For related food & travel stories, click here. I have always wanted to explore South Asia. Since little, I've imagined myself to be living in an unruffled village tucked away in the mountains where everyone appeared to be a little intriguing and mysterious. We would have spoken a language that was unique only to our tribe, and although we welcomed visitors into our homes, we were always cautious and protective of our people and possessions. Being an adult now, I realized very little has changed. I still have the same longing - to be close to the mountains in places which are culturally rich, formative and distant, to live a life among nature and the stars in a tranquil and healing mise en scène. I've decided that only South Asia could match up to my imaginative home. 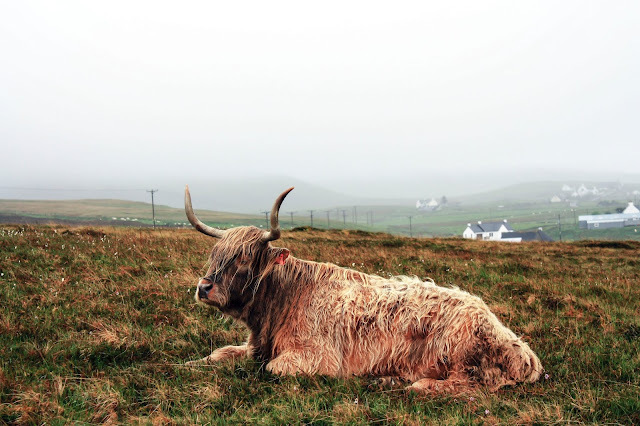 It is, after all, a region that stood against the test of time, gingerly preserving its traditions and way of life even when promised with seductive luxuries - the ease and expediency of technology and innovations. Here, people have unwavering loyalty to their roots, religions and heritage, and nothing seemed to have changed to this very day. Hence, you can imagine how excited I was when I finally booked my ticket to Sri Lanka. For years, I've been pressured and warned by close friends and family to never step foot in this region, especially as a solo female traveler because of all the mishaps that might happen to me. Even the media seems to think so. I wouldn't lie - I was a little scared. Loaded in my luggage was clothes that I have calculatingly concluded to be the least flashy and revealing. The plan was not to stand out, not when my skin colour would already be an obvious sign that I was a foreign visitor to the country. 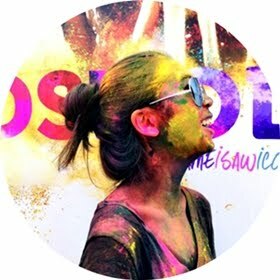 I spent days reading about travelers' experiences, and those testimonies were literally cautionary advice, discouraging female travelers from undertaking the journey. "It just isn't worth it, don't put your life at risk!" or "Don't come unless accompanied by males!". Here's my advice to travelers who are heading to the island: Don't believe what you hear until you have experienced it for yourself! Sri Lanka is a safe haven. The locals are well-mannered and respectful. Men do not have the time to lecherously ogle at you, not unless you strut through the streets half-naked. People are religious - they pray, they abide by the teachings of their respective beliefs and they do not harm without a cause. Honestly, I felt safer in Sri Lanka than in most parts of Southeast Asia. I never once felt threatened nor mocked. A proud vendor showing his catch - a flying fish at the Colombo morning market. Having a week to spend on this beautiful island in the vast, glittering Indian Ocean, I was fortunate enough to have explored its southern districts: Colombo, Kandy, Nuwara Eliya, Ella, and Matara. I treated my taste buds to the much raved about Egg Hoppers or Bittara Appa, and I got to dip in its remarkably blue and magical sea at Mirissa. Here, I got to see the elephants (my favorite animal) roam freely - the way they ought to be, and had the chance to sip on fragrant Ceylon tea at the very place it originated. And oh, I got to experience to Kandy-Ella train ride, which is said to be the most scenic of its kind in the world. The trip was unforgettable. My only regret was not having more time to explore the North. Till we meet again, Ceylon! For more Sri Lanka travel stories, click here. 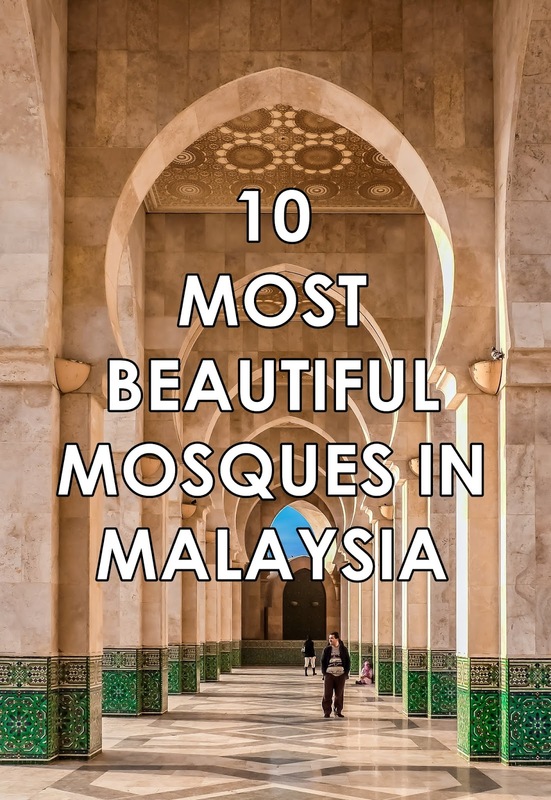 A multicultural Muslim country with over 61.3% if its population practicing Islam, Malaysia is furnished with countless majestic places of worship - particularly mosques in all shapes and forms. 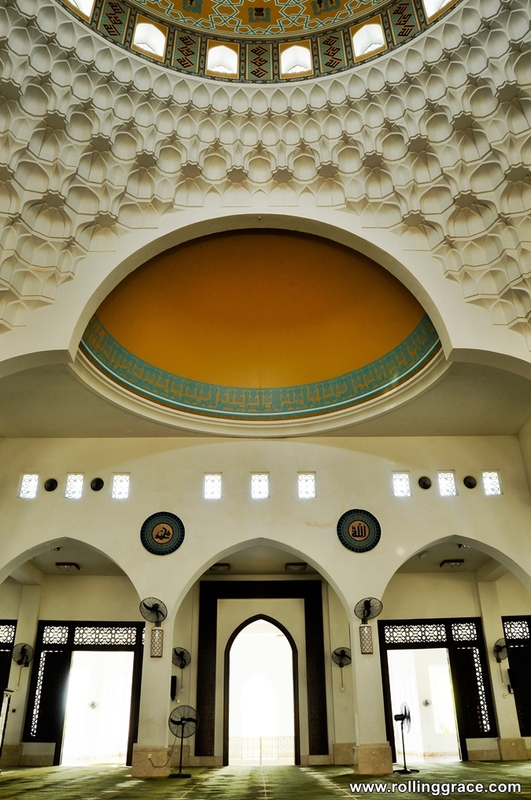 Each mosque has distinct architecture representing different Islamic design elements. In the following list, you can find a compilation of the most stunning mosques you must visit in Malaysia! 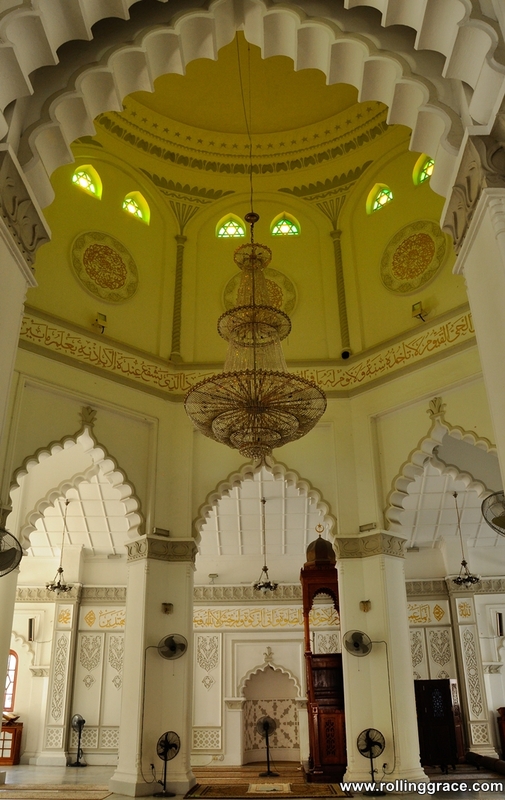 Known locally as Masjid Wilayah Persekutuan, the Ottomon-Malay design of this mosque is largely influenced by Turkey's Blue Mosque and India's Taj Mahal. Made up of 22 domes, two minaret towers, exquisite calligraphy carvings and an aesthetic garden surrounded by a moat, the Federal Territory Mosque has the capacity to accommodate up to 17,000 worshippers. There is a free guided tour known as the Masjid Tour Programme (MTP) that runs everyday from 10am to 6pm, where visitors are allowed to ask questions concerning the mosque and the religion in general. 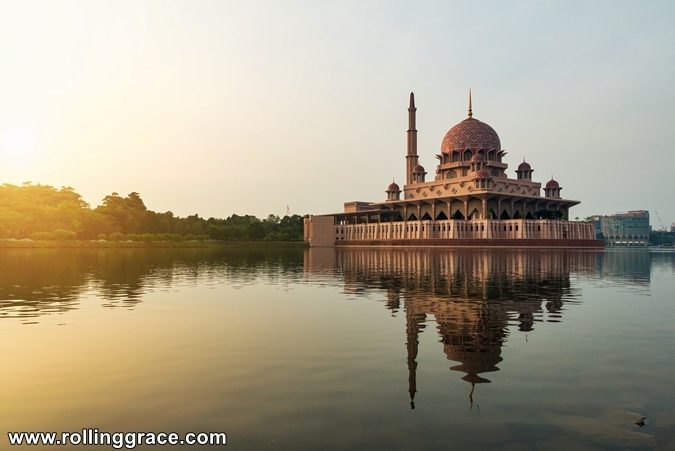 Occasionally called the Pink Mosque, the Putra Mosque fronts the beautiful man-made Putrajaya Lake and has a design that gracefully combines modernity and tradition. 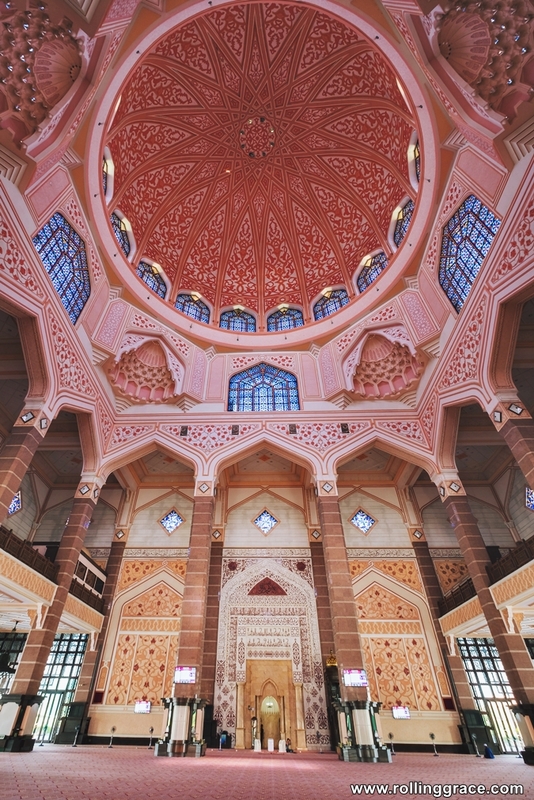 Being the most frequented landmark in Putrajaya, it is inspired by the Sheikh Omar Mosque in Baghdad, carrying Malaysian, Persian and Arabian details, while its signature pink dome is made out of pink granite and five tier minarets representing the five pillars of Islam. The fastest and most convenient way to reach Putrajaya is via the KLIA express train service from KL Sentral. 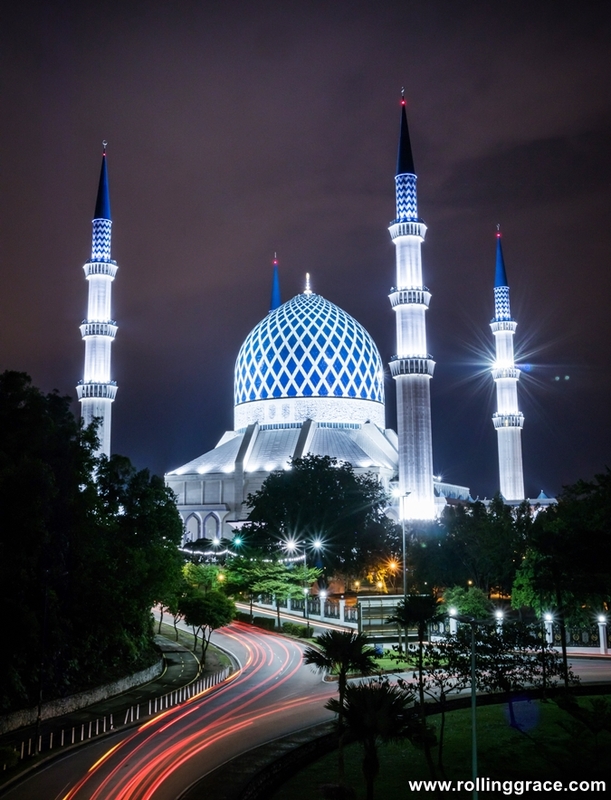 Located in Shah Alam, the state mosque of Selangor claimed the title as the biggest mosque in Southeast Asia. It is more commonly known as the Blue Mosque thanks to its grand blue dome and blue window panels. Its main dome and walls is perfected with detailed Arabic calligraphy while the wooden pulpit is carved by local craftsmen from Kelantan. Mosque is only accessible to Muslims on Fridays. 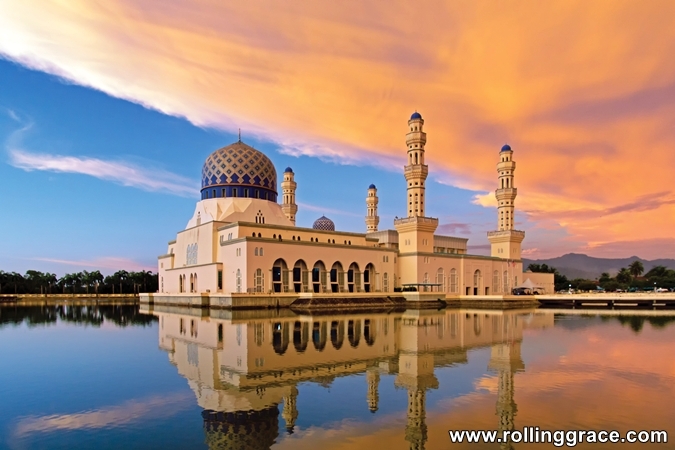 Tengku Tengah Zaharah Mosque is Malaysia's first ever floating mosque. 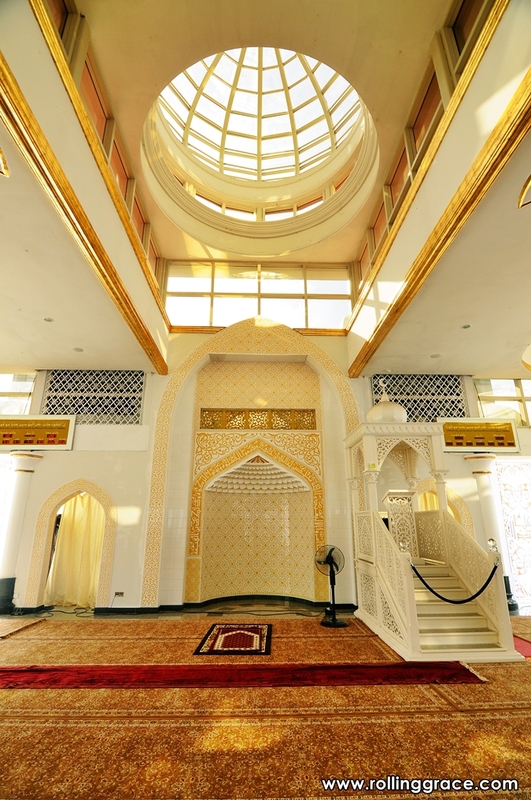 It consists of traditional Malay and Moorish elements with a clean and bold white exterior. Visit the mosque in the evening for an enchanting sight where the lake mirrors the mosque through a breathtaking reflection. 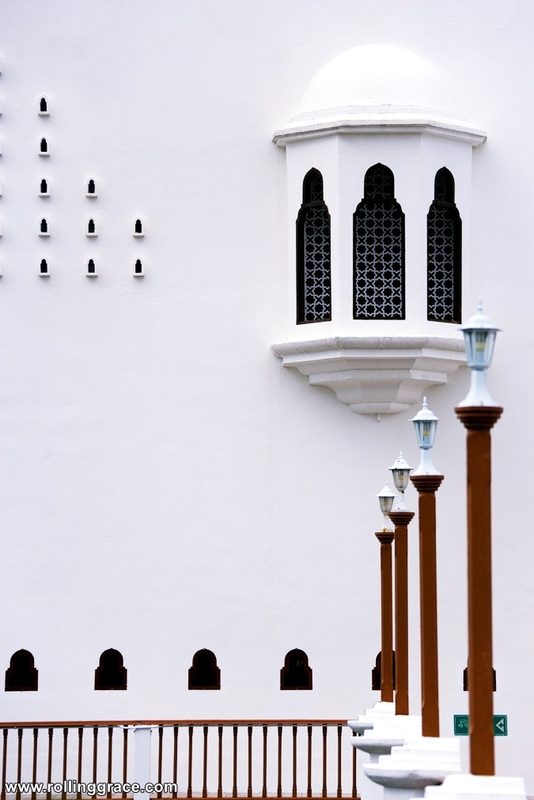 With a more contemporary design, the Kota Kinabalu City Mosque follows the motif of the Nabaqi Mosque in Medina. Both white and elaborate, the spectacular mosque is surrounded by a man-made lagoon where paddle boat rides operate, and is capable of accommodating up to 12,000 worshipers. Non-Muslims are only allowed to visit the mosque outside of praying hours. Built by the first Indian Muslim settlers in Penang back in 1801, the Kapitan Keling Mosque is the largest mosque in Georgetown. With distinct golden domes imprint with Mughal designs and windows bearing geometrical floral patterns, this impressive mosque possesses a Indian-Islamic architecture and form. 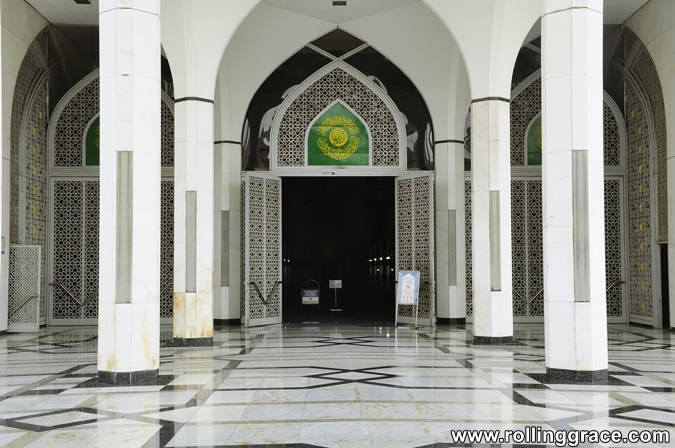 Located within the Al-Bukhary Complex in Alor Setar, Kedah, the Al-Bukary Mosque features Iranian and Turkish designs and has a five-layered archway depicting the five pillars of Islam. At the entrance to the mosque, there is an impressive reflecting pool adorned with exquisite Arabesque motifs. 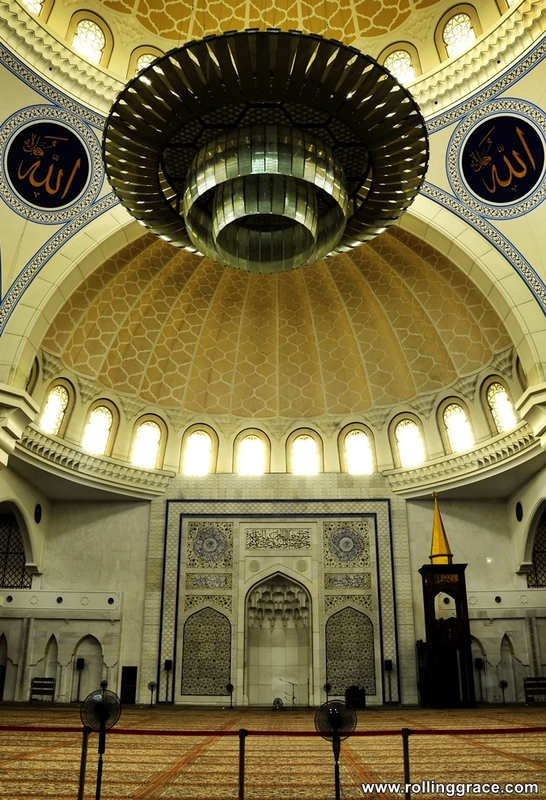 The mosque was named after Tan Sri Syed Mokhtar Al-Bukhary, a billionaire who funded the construction of the mosque. 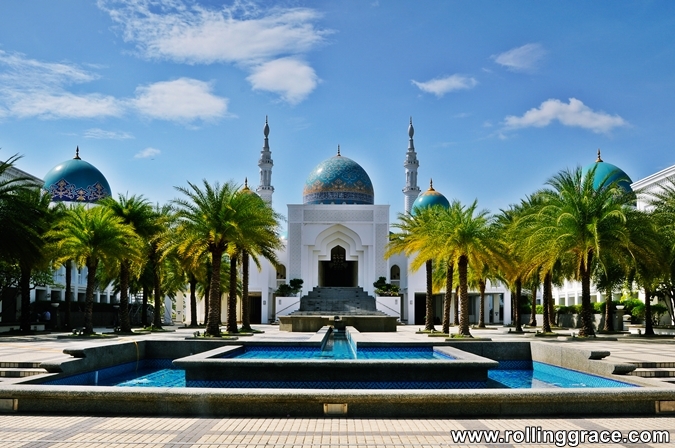 Considered as one of the most unique mosque in Malaysia, the Crystal Mosque in Terengganu is located within the Islamic Heritage Park on the Wan Man island. Made completely out of crystal, glass and steel, the structure underpins Gothic and Moorish details. 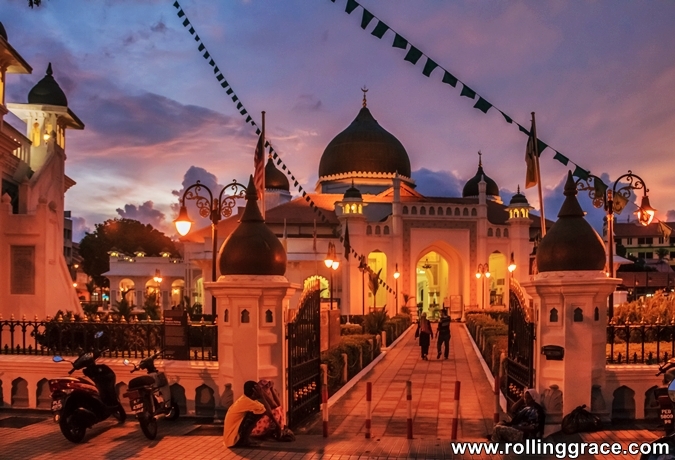 Visit the mosque during the night when its domes and minarets are lit up in different hues. 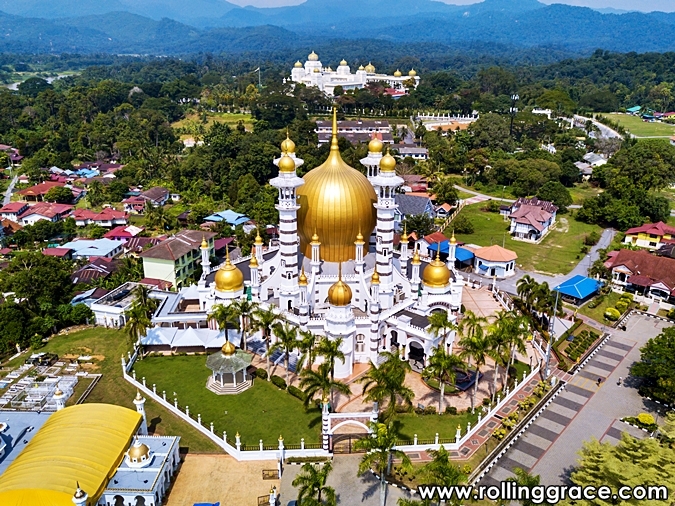 A holy and sacred site for the Muslims in Perak, this distinctly shaped octagonal mosque with a magnificent golden dome and striking minarets has become a top attraction in Kuala Kangsar - Perak's very own royal town. It has a Indo-Saracenic architecture, and was built during the reign of Sultan Idris Murshidul Adzam Shah (hence known as the Royal Mosque). To get the best picture of the mosque, try to find a higher spot for an aerial view of the architecture from above. Floating and built on stilts off the shores of Melaka, this mosque doubles as a patrol to watch over ships and watercraft over the Straits. 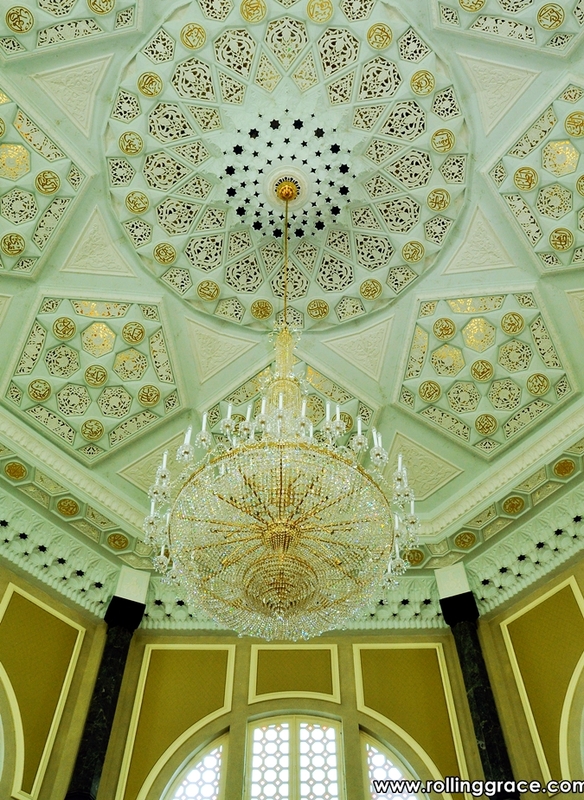 It has a dome with Middle Eastern influences and façade decorated with Islamic motifs. Non-Muslims are only allowed to visit outside of prayer times. 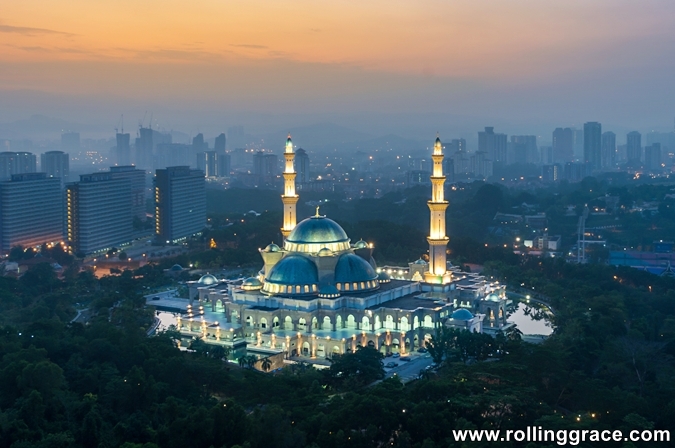 Visiting any of these beautiful mosques in Malaysia soon? Upload your photo on Instagram and include the hashtag #rollinggrace for a chance to be featured!